If you’re looking for up-to-the-minute commissary deals to help you get the most out of your dollar, turn to MyMilitarySavings.com. We’re the #1 military shopper website, offering the widest selection of money-saving coupons and special discounts aimed directly at today’s busy military families. Our partnership with the Defense Commissary Agency (DeCA) makes it quick and easy for you to find exceptional savings – We make it easy to plan your savings by providing access to a digital version of the popular Coupon Connexion and Price Connexion flyers, so you can see what’s on sale before you hit the stores. Additionally, our Hot Deals page makes it easier than ever to find special commissary deals on meats and produce, as well as special prices at the Exchanges on vitamins, over-the-counter medications, and other items your family needs. But that’s not all – you can win free commissary gift cards when you play games like MMS Scavenger Hunt, and participate in other manufacturer-sponsored contests. 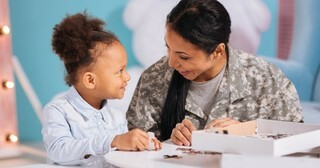 To learn more about the many commissary deals and other special discounts offered to active duty and retired armed forces members and their families, join MyMilitarySavings.com today on our sign-up page. You’ll find out how easy it is to serve, save, and enjoy!